Zigview S2 - Normal and IR+Visible Versions! and flips up and down 180°. 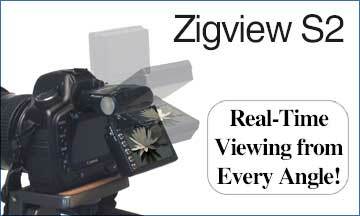 The Zigview-S2 display screen can be separated using an accessory video transceiver cable. Plus all of the Zigview SC-V100R's basic funtions! to 99 days time intervals. Detects variations on the viewfinder image to fire camera shutter. It can also divide screen image into nine sections and vary sensitivity in each section for a wide range of applications. Sensing module and display module can be separated using an accessory video transceiver cable. This enables you to remotely monitor the viewfinder image from up to 40ft away and also fire the shutter remotely from the remote monitor. We have the normal Zigviews which see only visible light as well as specially modified versions that can see both Infrared and Visible light. Seculine revolutionise DSLR handling with the NEW Zigview S2 Digital Angle Finder, with remote detachable 2½ inch screen, TV output, motion sensor and interval timer. The NEW Zigview S2 attaches to your DSLR viewfinder and displays a live video feed from the viewfinder to its large 2.5 inch high resolution LCD, which can be moved to fully tilt and rotate for viewing at any angle. The new unit has excellent low light properties and a high frame rate which displays a bright live image making it fantastic for low and high angle situations as well as being capable of acting as a waist level finder to improve communication with clients during portrait photography. 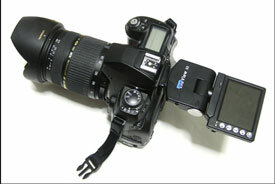 Eyepiece adapters and shutter cables are available to fit most DSLR cameras. 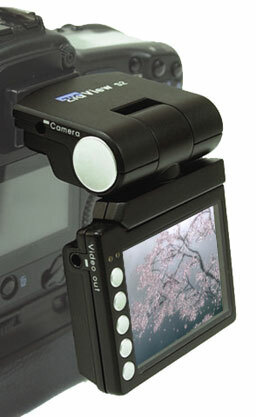 The new Zigview S2 Digital Viewfinder has a highly sensitive, no lag, sharp 2.5 inch (230k pixel) LCD. It also features a NTSC/PAL Video Output jack so the image can also be viewed on any video monitor. The display module rotates 300° and flips up and down 180° for easy viewing at any angle. The image can be flipped 180° to conform to the screen position. The Zigview S2 image sensing module and display module can be seperated using an accessory video transceiver cable (must be purchased seperately). This enables you to remotely monitor the viewfinder image from up to 35 ft away and also fire the shutter remotely from the remote monitor. Zigview S2 employs a single user changeable standard ENEL5 rechargeable battery. A shooter using the Zigview S2 can have several charged batteries on hand for long shoots. There are three models of the Zigview S2: A, B & C. Each model has a different set of optics specifically designed for a group of camera (see chart for optimum camera-Zigview match). And, on each model Zigview S2 includes interchangeable eyepieces for specific camera models. The Zigview S2, which adds innovative features to the world’s first real-time digital angle viewfinders for most digital and film SLR cameras. The Zigview S2 revolutionizes SLR photography with its remote detachable 2.5 inch LCD screen, Video output, motion sensor, intervalometer, and more. The new Zigview S2 attaches to your DSLR viewfinder and displays a live video feed from the viewfinder to its large 2.5 inch high resolution LCD screen. 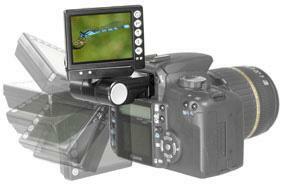 You can tilt and rotate the LCD for viewing at any angle, including from the front of the camera. This makes low-angle, high-angle, and now even self-portraits easier than ever. In addition to the intervalometer and nine-zone TTL motion detection shutter release capabilities of the Zigview R, the new Zigview S2 utilizes higher resolution optics, and a highly sensitive CCD sensor with 270,000 pixels and a rapid refresh rate. 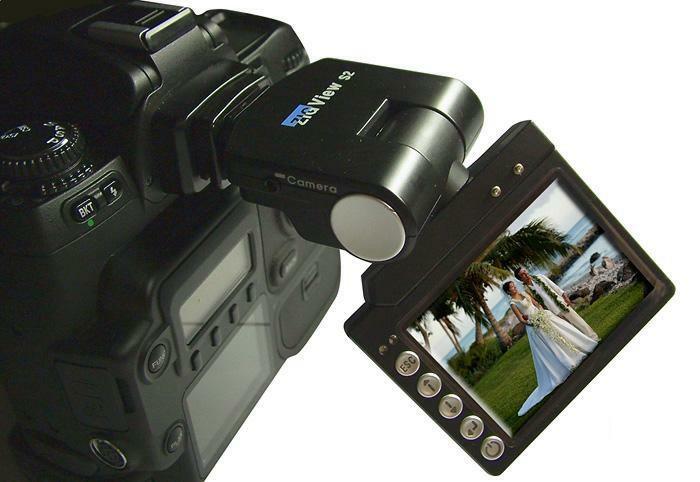 Its very bright LCD finder can be viewed easily in daylight. The Zigview S2 has NTSC/PAL video output so that the image can also be viewed on an external large TV screen or monitor. In addition, the Zigview S2’s built-in LCD monitor can be separated from the camera using an accessory video transceiver cable. 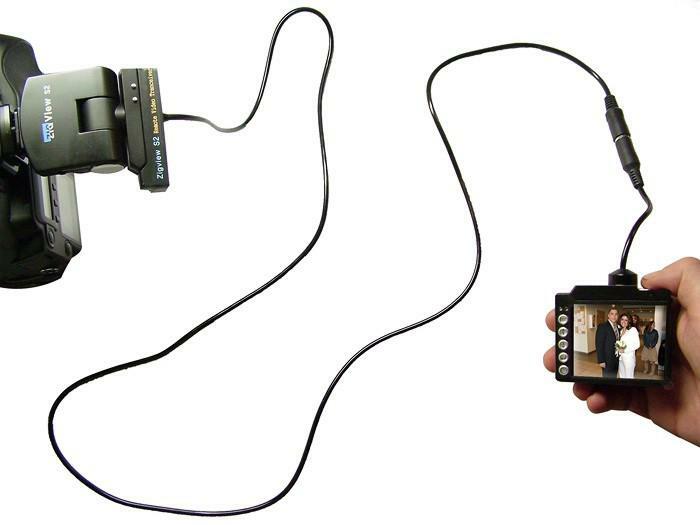 This enables the photographer to view the image in the viewfinder and fire the shutter from a remote location up to 35 feet from the camera. The Zigview S2 is particularly useful for low angle photography where you would struggle to see through the viewfinder especially with macro work, for high angle situations such as press work where it is impossible to see the subject when taking pictures over crowds, and for copy work, portrait photography, industrial, forensic, nature photography, and many other applications. 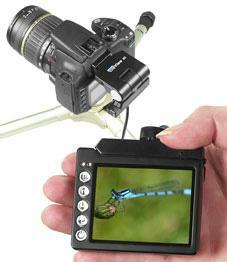 Zigview makes it easy to see and shoot the subject without difficulty in these and many more situations. There are three types of Zigview S2 models. Please make sure to order the correct type for your camera.